Do you need professional San Jose commercial repiping services? 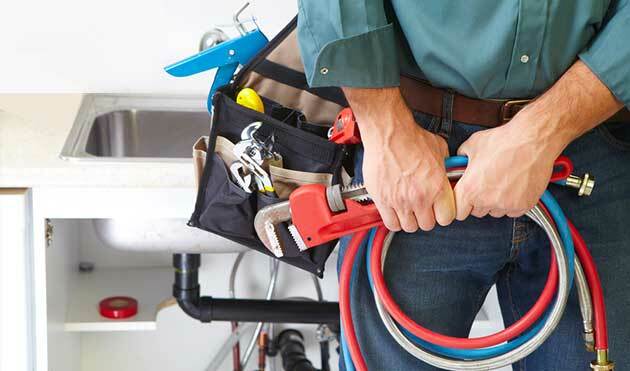 Call us at (408) 933-9874 today for fast, dependable repiping service you can trust. We will send one of our expert plumbers to your location to diagnose the specific pipe issue and provide a timely solution. Click here to find online specials and coupons. When you have a pipe problem in your commercial building, it could spell disaster if it isn’t dealt with swiftly and professionally. Water leaks in office buildings, shopping malls, restaurants and other commercial properties carry big risks because of what could happen if it gets out of hand. Commercial repiping is a service that will restore the sections of damaged pipe without disrupting business, or replace older, worn pipes with a completely new system. The key is to have a high quality service provider to get it done. Discover what others in your area have been saying about our commercial plumbing services when you click here. When you have commercial repiping service performed in your building, it means you are having some or all of the pipes replaced. If the piping inside and under the building is made up of old, galvanized pipe, you may need the entire building repiped. However, you can also have smaller sections of pipe redone if there has been damage. We can come in and use our specialized equipment to locate a leak and then replace that section of pipe without disturbing any of the surrounding pipes or fixtures. Commercial repiping works well for both copper and PEX piping. Since a commercial repiping job happens at places like a mall, office, store, school, hospital or factory, it is important to take quick action and get the job done as soon as possible. A small water leak is bad enough, but if a pipe bursts or there is substantial flooding, it may have a very negative effect on the business. Water damage is the enemy for carrying on business, or if you plan to sell the business in the future. Whenever you notice any signs of moisture, make sure you get help quickly and find out if repiping is the way to go. When you do enlist the help of a plumber to help with your commercial pipe issues, make sure it is a licensed plumber with experience in the commercial plumbing arena. Your commercial plumbing is no place to start cutting corners, so make sure the help you get is highly qualified. If the pipes in your commercial building have been causing trouble, or they are older and need an update, call Genmor Plumbing today at (408) 933-9874 in San Jose, CA and the surrounding area. We will send a licensed plumber to check out the situation and get the repiping process started.